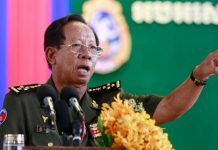 On the day of the new government’s confirmation, a top CPP official proclaimed the nation’s rulers will attack illegal logging. “This will be a main focus of the government,” CPP spokes­man Khieu Kanharith said outside the National Assembly. But he also asked the public to wait a year before assessing the new government’s performance. 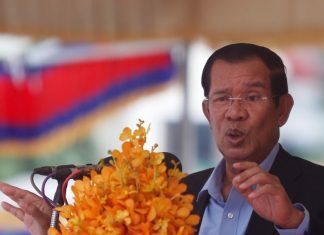 Top government officials, in­cluding new Prime Minister Hun Sen, have in recent years regularly pledged to control rampant illegal logging. But instead, harvesting rates have increased. A World Bank team from Washington is currently in Cam­bodia to evaluate studies done earlier this year. Recommenda­tions made earlier this year by World Bank-funded consultant teams include passing a new forestry law with stiff penalties for lawbreakers, taxing timber at a higher rate, strictly monitoring concessions and other forested areas and identifying natural-resource alternatives for rural residents. It remains to be seen whether the government will take recommendations seriously. 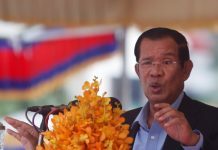 Hun Sen pledged in an October speech to end the destruction of the forests. While environmental officials have long agreed that political will is critical, they say reducing illegal activity also depends on reining in lawless elements ranging from soldiers and militia to business officials and renegade concessionaires. Patrick Alley, co-director of the environmental watchdog Global Witness, said by e-mail last week that new Forestry Director Ty Sokun needs to move swiftly to clamp down, especially on illegal exports to Laos and Vietnam. Global Witness and the World Bank-funded consultant teams separately concluded earlier this year that commercially valuable trees will essentially be logged out within five years if current harvesting rates continue. In 1996 and 1997, the Inter­national Monetary Fund canceled $60 million in loans, largely because of the government’s inability to control illegal logging and funnel logging revenue into the budget. Global Witness has estimated Cambodia could collect $37.5 million in tax revenue a year, based on a conservative, sustainable level of harvesting. The government has been collecting only about $12 million, despite harvesting rates that are much higher than what is believed to be sustainable.